Nets of very dry, ready to use wooden sticks. 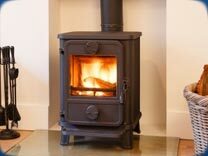 Ideal for open fires and wood burners. By far our most popular. Take a look at our map to see the radius covered. 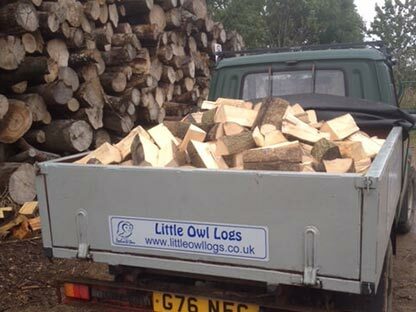 Little Owl Logs are based near Bibury, in the heart of The Cotswolds. We are proud to provide a fast and friendly service, with a high quality product to all of our customers. We have many years experience in providing fire wood to customers and some twenty years experience in the forestry industry. 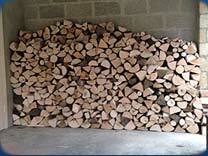 Hardwood logs are predominantly Ash and Beech and are suitable for both open fires and wood burners. They give excellent slow burning warmth and are our most popular type of wood. All our wood is sourced as locally as possible normally within ten miles of our yard. The woodlands are managed under strict guidelines set out by the Forestry Commission to ensure a continued sustainable resource. 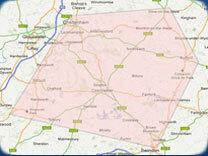 We offer deliveries on Saturdays and will deliver to your location within a 2 hour window of your request delivery time. Call us today on 01285 721055 or 07778 629079 for more information or to book a delivery slot. Cut and size logs to order to suit your requirements. Offer a stacking service (an additional charge will apply). Offer a personal and professional service to all. Locally source all fire wood.